Dry hair evenly and gently with soft, warm air while you relax. 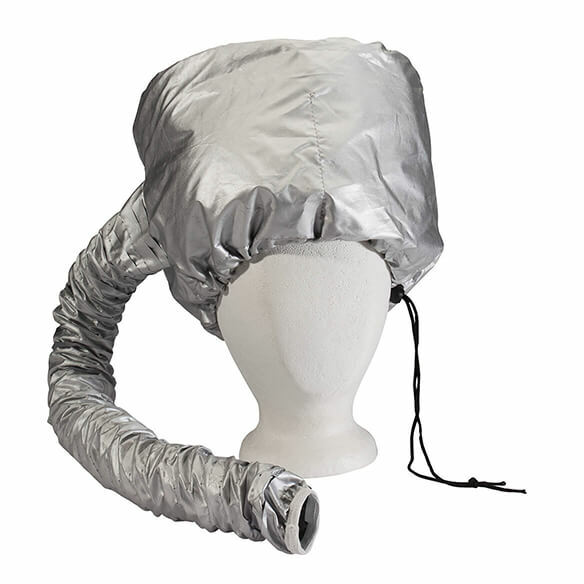 This bonnet style hair drying cap is lightweight and comfortable to use. A drawstring around the head gives a perfect fit. 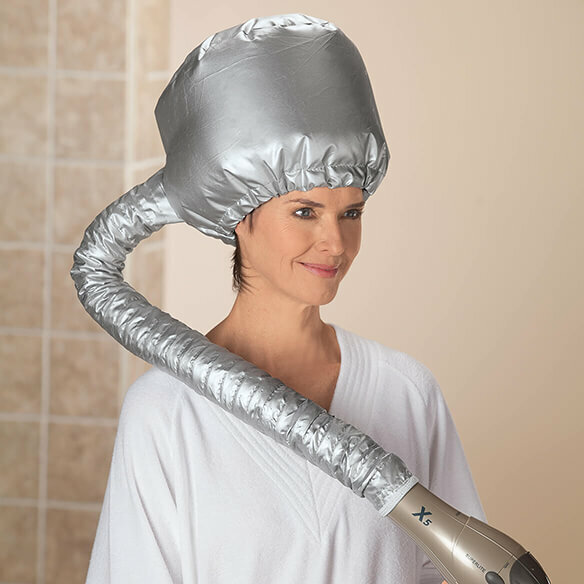 Works with all hair dryers. Elastic at the end of the tube secures the hood to the dryer. Ideal for deep conditioning, hot oil and other heat treatments. Dries hair gently with diffused air. Made from high quality waterproof material. Bonnet size is approximately 8.3”H x 11” D; total length is 33.8”L. Hand wash with a small amount of detergent and let air dry.